On January 10, 2018, the U.S. Supreme Court will hear oral arguments in Husted v. A. Philip Randolph Institute, et.al., a case that will determine whether states can remove individuals from voter rolls for simply failing to vote in previous elections. Every American has the fundamental right to vote, but from 2011 to 2014, Ohio removed a reported 846,000 registered Americans from its voter rolls for infrequent voting over a six-year period. This removal was in violation of the National Voter Registration Act. Removal for not voting: Some states remove people from voter rolls who fail to participate in the electoral process. In 2015, Ohio purged hundreds of thousands of individuals from its voter rolls for failing to vote since 2008. More than 40,000 people were removed in Cuyahoga County alone. Ohio’s purge disproportionately affected communities of color. More than 10 percent of voter registrants in the “heavily African-American neighborhoods near downtown” Cincinnati were purged for failing to vote since 2012, compared with only 4 percent of registered voters living in the surrounding suburb of Indian Hill. In 2016, the U.S. District Court of Appeals for the 6th Circuit struck down Ohio’s law, finding that it “constitutes perhaps the plainest possible example of a process that ‘result[s] in’ removal of a voter from the rolls by reason of his or her failure to vote,” in violation of the National Voter Registration Act. The Crosscheck program: Kansas Secretary of State Kris Kobach’s controversial Interstate Voter Registration Crosscheck Program is used by roughly 30 states to identify possible instances of double voting and is widely criticized for being discriminatory and unreliable. A 2017 study of Crosscheck results for Iowa found that the program misidentified potential instances of double voting 99 percent of the time. Crosscheck’s minimal search criteria—which rely mainly on first and last names and birthdates—can result in eligible Americans being misidentified as double voters. In a group of just 180 people, there is a more than 50 percent chance that at least two people will share the same birthdate. And people of color disproportionately share 85 out of the 100 most common last names. Inaccurate data: The removal of eligible voters may result from a state’s reliance on inaccurate or unreliable databases. In 2000, Florida used unreliable felony conviction data to remove registered voters if 80 percent of the letters in their last name matched someone with a criminal conviction. African Americans made up 66 percent of those identified as potentially ineligible in Miami-Dade. More than half of the African American registrants who appealed their removal in Miami-Dade were ultimately found eligible to vote. Clerical error: Some voters are removed from state voter rolls due to human or clerical error in the voter registration process. From 2013 to 2016, in Georgia, nearly 35,000 voter registrations were “canceled or placed in ‘pending status’” and slated for removal due to discrepancies in voter registration forms—including such minor mistakes as an out-of-place space, hyphen, or apostrophe. African American voters were eight times more likely to be affected than their white counterparts, while Latino voters were more than six times more likely to be affected than whites. Voter caging: Purges may occur through a process called “voter caging,” whereby groups target certain communities by sending out mass direct mailings to registered voters that cannot be forwarded to a new address. In 2016, three North Carolina counties were found guilty of “systematically purging between 3,500 and 4,000 voters from registration rolls” too close to Election Day in the wake of a mass caging campaign, which included volunteers from the Voter Integrity Project, challenging the voter registrations of people whose mail was returned undeliverable. African Americans made up 65 percent of those targeted in Beaufort County, even though they accounted for less than 26 percent of the county’s population. Improper databases: In December 2017, Hans von Spakovsky—a member of President Donald Trump’s recently dissolved voter fraud commission—proposed comparing state voter rolls to federal databases of noncitizens. One such database, the Systematic Alien Verification for Entitlements Program (SAVE), is run by the U.S. Department of Homeland Security and used to verify immigration status. SAVE is not designed for voter registration purposes and is ill-equipped to take on such a role, as it contains outdated information and can result in false matches between citizens and noncitizens who have the same name and birthdate. People of color would be disproportionately targeted, since 50 percent of people of color share a common surname compared with only 30 percent of whites. On June 28, 2017—the same day President Trump’s newly dissolved voter fraud commission requested sensitive information on state voter rolls—the Department of Justice sent a letter to states requesting information on their “list maintenance,” or voter removal, procedures. For many, this move—and its timing—signified the Trump administration’s intent to encourage or require voter purges across the country. 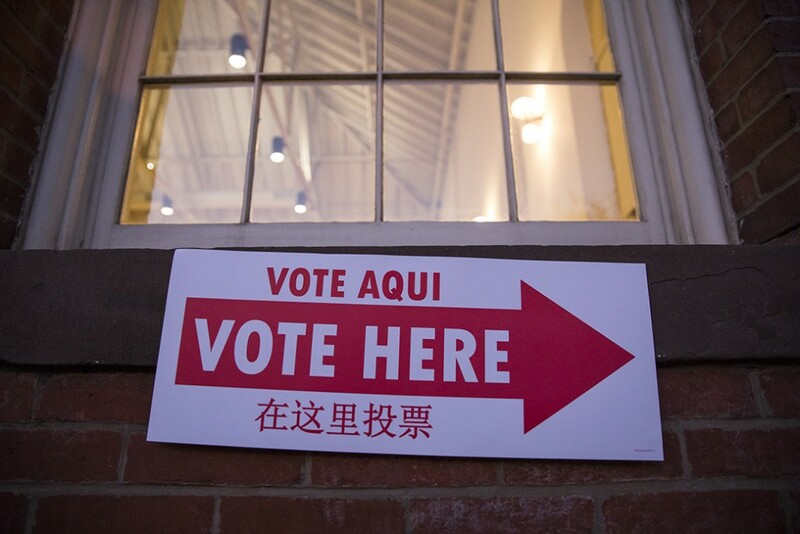 Safeguarding the U.S. election system is critically important, and state officials need not rely on improper voter purges to keep voter rolls safe and accurate. Through comprehensive verification processes and advanced technology, common-sense policies such as automatic voter registration (AVR) and programs such as the Electronic Registration Information Center (ERIC) keep voter rolls secure and up to date without compromising the voting rights of eligible Americans. Voter purges are an insidious, often under-the-radar form of voter suppression, and if the Supreme Court allows Ohio to move forward with its voter purging practices, things threaten to get much worse. Danielle Root is the voting rights manager for the Democracy and Government team at the Center for American Progress. Liz Kennedy is the director of Democracy and Government Reform at the Center.